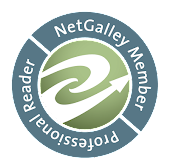 One of my goals this year is to try to participate in more blog hops. Last year, I really slacked off and I so enjoy designing up the jewelry around a theme and then sitting down with a cup of tea to see what everyone else has come up with. 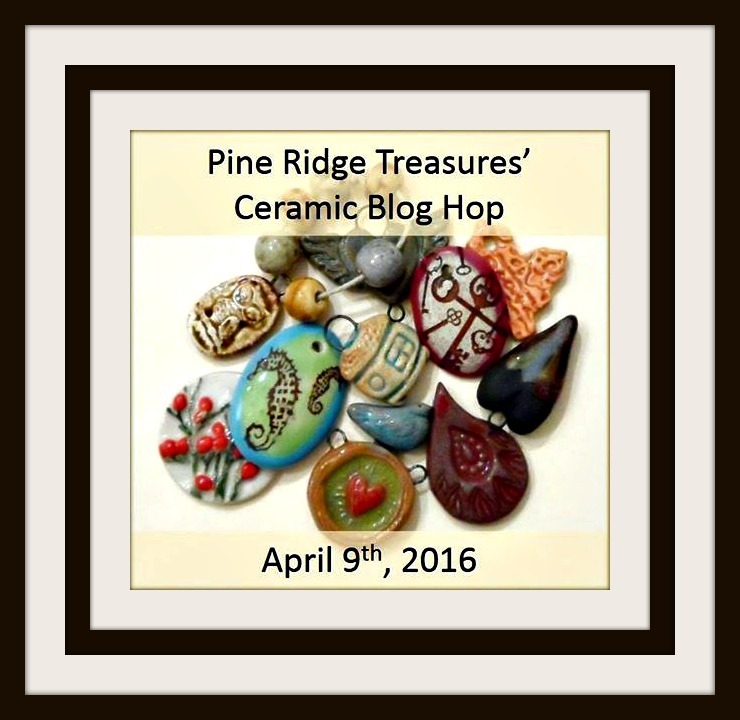 So I was very happy to learn that Lisa of Pine Ridge Treasures is planning on hosting a few this year. Now par for the course, I can't manage to find my before pics of the wonderful kit that I recieved. I can tell you that it was filled with glass pearls from ZNetShows (and they have wonderful pearls which I highly recommend), a beautiful focal from Joan Miller and some metal findings. 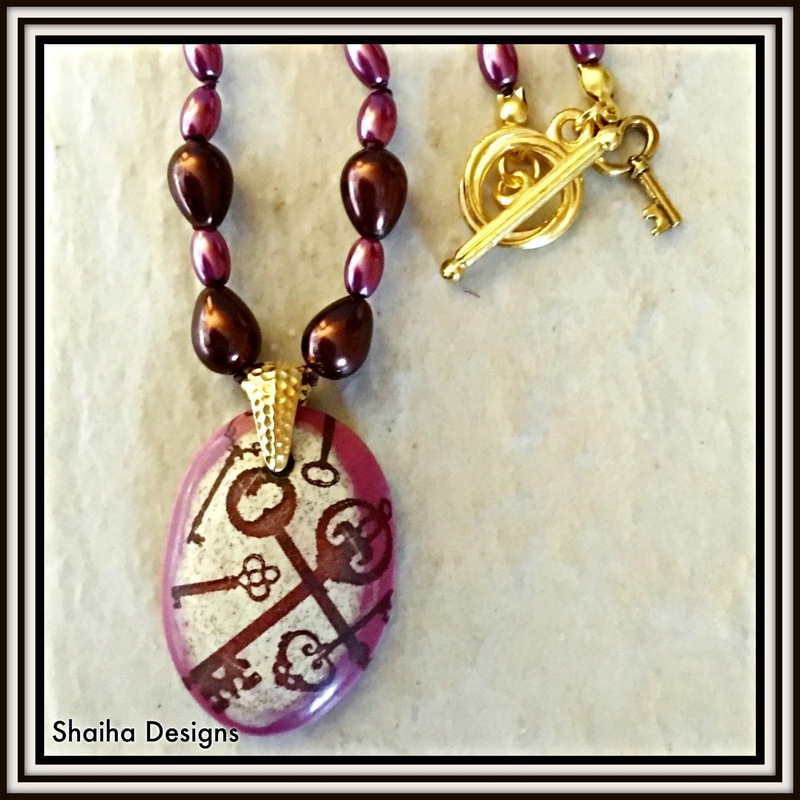 I knotted up a necklace using the Ultra Pearls in colors that highlighted the gorgeous ceramic focal. Finishing it off is a golden pewter toggle clasp and a little key hearkening to the focal. Now comes the funnest part of a blog hop, checking out all the beautiful eye candy! Sweet! I love how you put a little key by the clasp too! WOW Shai! as always a gorgeous design! Love the pendant you received and you just made it shine with your design and color choices...so lovely! Great use of colors. The little keys are so sweet. Shaiha - I love your necklace. The pearls look so pretty with the pendant. Very elegant and classy. Thanks for being in the hop! 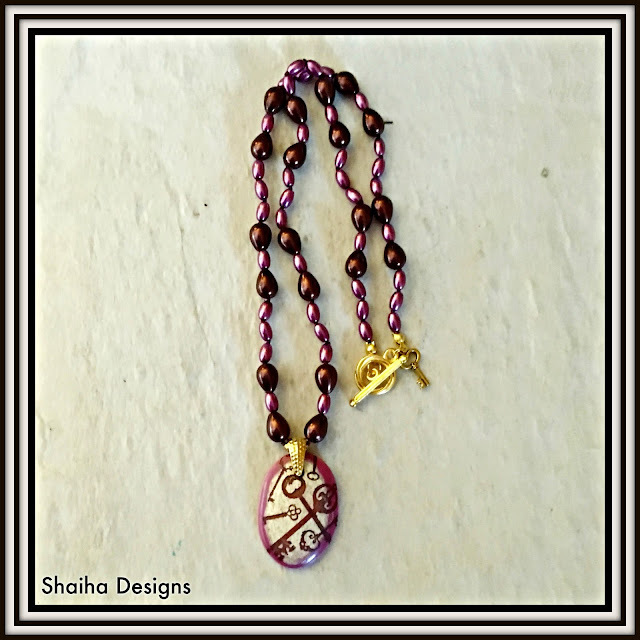 Shai, I love the colors you chose and the whimsical touch with the fun key at the clasp. Im a pink lovin girl.